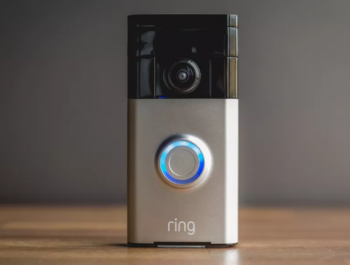 If you find value in the article and/or video below, please consider using one of these links when buying your own Ring Alarm Home Security System, available now on Amazon, Best Buy, and directly from (non-affiliate-link) ring.com. 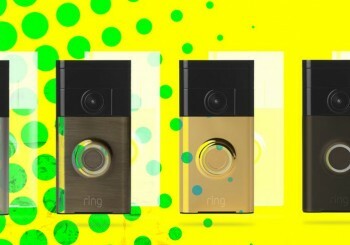 My first Ring products were the Ring Video Doorbell and the Ring Pro Video Doorbell back in the summer of 2016, which had some issues initially, but worked out quite well in the end. I even bought a Ring Spotlight Cam last year, so my family was already accustomed to the Ring app on their iOS's devices. This made it an easier choice to go forward with trying out the Ring Protect, announced last year. 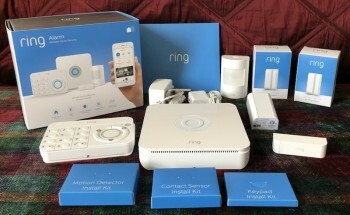 Ring became entangled in a lawsuit by home security veteran ADP, which I admit I wasn't very surprised by, with a lot at stake with such a potentially disruptive product. Why? It's professionally monitored by humans, for a mere $10 per month, that's why. No contracts too. It's available now, renamed to Ring Alarm Home Security System. 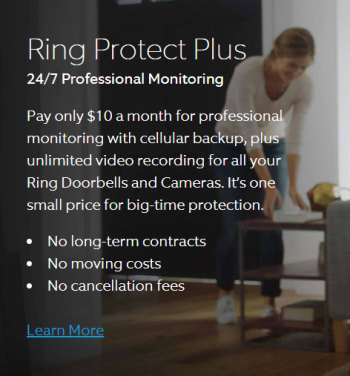 We appreciate your commitment to Ring, and are offering a $50 promo code* that you can use toward any Ring Doorbell or Outdoor Camera, as well as an additional $100 off Ring Protect once it is re-released at a later date. Despite some reservations about Amazon buying Ring for an astounding 1 billion dollars earlier this year, I decided to place my order. I paid extra for overnight shipping to get my hands-on unboxing produced sooner for my readers. This worked out well, receiving my Ring Alarm today, July 5, 2018, just 2 days after select members of the press released their reviews. Admittedly, I've only spent an hour or so with my system so far, recording the 4K footage below while taking a close look at the physical aspects of the system, and doing a thorough walk-through of the simple setup process. If you have a look at my history of reviews of IoT and home automation devices, you'll know that I'll have many more comments to come, including observations gathered during my actual day-to-day testing and usability. As demonstrated in the video below, setup was quick and easy, and so straight forward that your extended family will also likely be able to follow-along too, with Ring providing handy tutorial videos for each of the included sensors too. I'm glad that Ring automatically asks you to add their email address to your address book to lessen the chance of accidentally getting flagged as spam, then emails you with your local jurisdiction's rules as far as applying for an alarm permit. I'm also glad that Ring puts the Ring Alarm account into a 7 day trial mode once Alarm monitoring is activated, to help prevent accidental triggering as a family becomes familiar with the system. Each family member invited to use the alarm must have their own unique 4 digit pin. I know this system has built-in AT&T based cellular backup, so the system should stay operational during power outages or intentional sabotage, say, if somebody nefarious cuts the coaxial cable that feeds your home's internet thirst. What I'm less sure about is the system's resistance to intentional attacks on the base station's cellular connection to authorities, the Z-Wave wireless connections from the base station to the sensors, and the base station to the WiFi (if I don't used the wired connection). Not something I'll really be able to test, just something that I think about. Like many, I'm a bit concerned about Amazon's purchase and what consequences that may eventually have. Finally, I'm surprised that dual factor authentication for the ring.com login isn't available, especially given the sensitivity of the data that I'm entrusting to Amazon and Ring. Brute forcing a username and password to get into the account is a threat to the Alarm system too, of course. This is a serious shortcoming that is hopefully only temporary. You'd think Ring would have learned from their scrapes with (quickly-fixed) WiFi theft possibility in 2016, mystery packets in 2017, and account password change not forcing a re-log-in just last month. 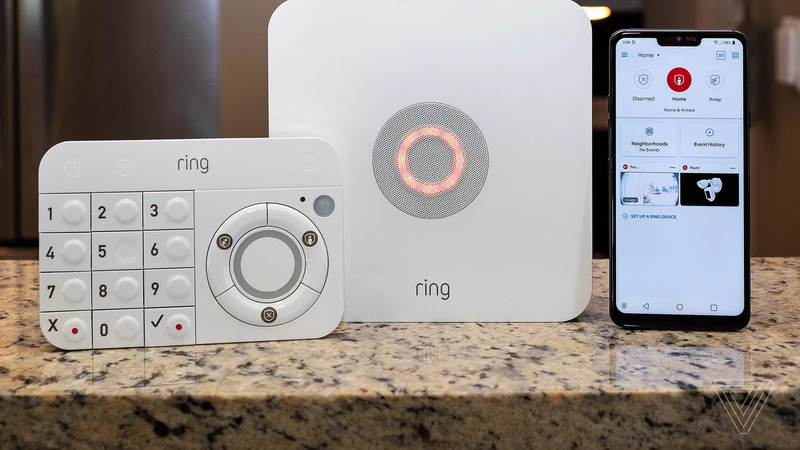 Such issues could pose a threat to your family security, and a breach of that account could actually result in your home actually being less safe with the Ring Alarm than it would be without the Ring Alarm. 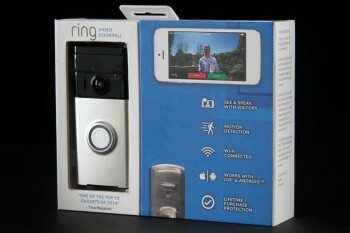 It seems Ring could have been a bit more ambitious with the methods to arm the alarm system passively. Imagine if competitors come up with a secure way to automatically arm their alarm system when all family phones are more than 500 feet from home. The Ring Alarm uses the more traditional keypad or app method, which requires all family members to remember to arm the system when leaving home, with the considerable risk of simply forgetting to do so. I'm currently using wired Ethernet to link my Ring Alarm Hub to my home's network, but I may move it to my guest WiFi network instead, to help mitigate the risk that anything cloud attached poses to my home's network. Then again, WiFi jamming would then become the attack vector. For now, this Ring Alarm isn't my only security system. Not until Amazon's Ring takes further steps to earn my trust. So far, the fit, finish, and quality seem right up to par with the rest of the Ring products, and I'm relieved the product actually shipped. Time will tell how easy the system is for my family to use, and how well the sensors seem to actually work. 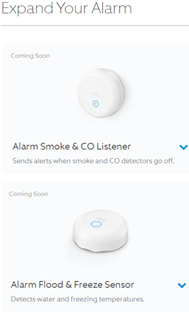 Upcoming water leak detection via the upcoming Alarm Flood & Freeze Sensor, and integration with my existing smoke detection system via the upcoming Alarm Smoke & CO Listener, are of interest to me. Prices for Ring's products are likely to continue be far less prohibitive than Google Nest. Please consider stopping by TinkerTry again soon to see my updates right below this article! 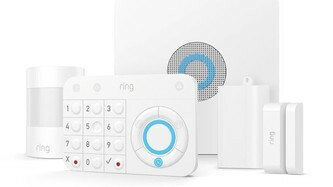 If you found value in this article and/or video, please consider using one of these links when buying your own Ring Alarm Home Security System, available now on Amazon, Best Buy, and directly from (non-affiliate-link) ring.com. Installing the sensors and becoming familiar with the system during actual daily use has gone quite smoothly, and hasn't turned into the time-sink I had suspected it might become. Everything seems to "just work" as-is, without having to futz with placement, and Z-wave signals seeming to handle my 2 story + basement home with ease. It struck me that one of the articles about the Ring Alarm mentioned the lack of a glass breakage detector, and I agree that this is a weak spot in the current line-up of accessories that I should have mentioned above. I'm working on filling out the permit to properly test this system, telling my local authorities that the monitoring behind it is provided by Rapid Response Monitoring. It makes sense they need to know what to do in the case of the alarm going off. I also verified that Ring Alarm is not yet available in Canada. More specifically, a ring.com customer I know was unable to place an order for a Ring Alarm this time. Because Amazon bought Ring, it's important to explain that TinkerTry.com, LLC is a participant in the Amazon Services LLC Associates Program, an affiliate advertising program designed to provide a means for TinkerTry to earn fees by linking to Amazon.com and other affiliate sites. This article was written without Ring's permission or prior review, and was purchased directly from Ring with TinkerTry.com, LLC funds. The product discussed and shown here is a production model, not a potentially different press preview or review model. This doesn’t bode particularly well for Amazon, which was planning to use Ring video doorbells as part of a secure solution for delivery programs like Amazon Key, which allows delivery personnel to drop off packages directly into someone’s home. But if Ring doorbells can’t even protect against an ex-boyfriend, it will be difficult for Amazon to convince customers that they’ll protect against other ill-intentioned actors. According to Ring, if the Ring device loses connectivity unexpectedly at the end of a transmission, it sends the final video/audio packets to an un-routable address, essentially throwing them away. Unfortunately for Ring, that isn’t what the device actually does, instead it routes packets to an IP address in China owned by Baidu, a Chinese search engine. Besides raising serious privacy concerns about what exactly is being sent in the end-of-call packets and who may be receiving them, this behavior creates a potential back-door into the Ring device by opening a hole in the Wi-Fi network the Ring is on, such that data coming back from China can get through a router to to the device. Get ready to say goodbye to traditional home security. Ring Alarm starts shipping in July, and we'll be sharing information and answering questions about our new Home Security System all day today.